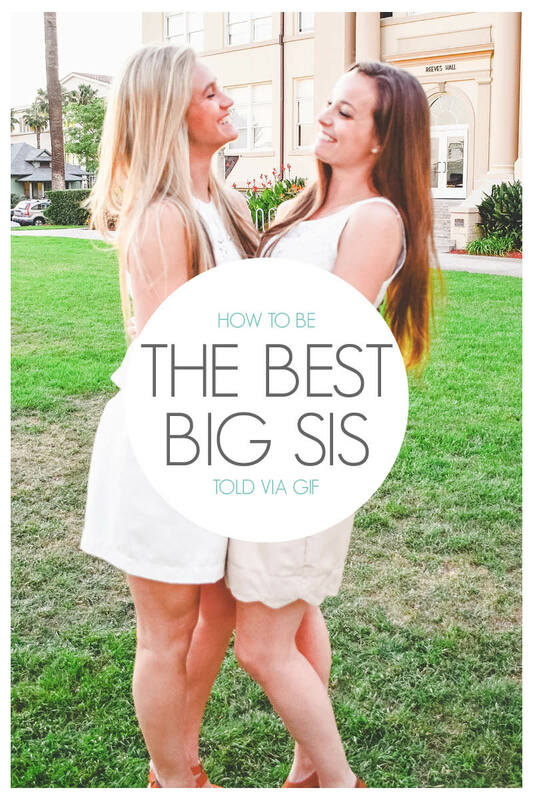 Being a sorority big sis can be a lot more responsibility than you prepared yourself for. It’s not just the financial responsibility of spoiling her, but it’s the emotional responsibility of being a mentor, a friend, sometimes a stand in parent and a big sister to your new member. 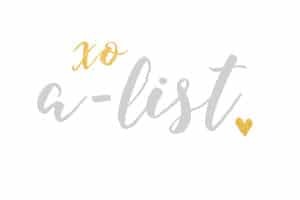 A-List has laid out the most important things you need to do to be the best big, and to make your life easier and a little more fun, we’re telling you through GIFs! Be her mom away from home. Being away from home can be tough for your little one, so be her stand in mom at school. Take care of her and watch out for her, but make sure you’re still a cool mom. Always stay up to date with her life. You have to stay active and involved in your little’s life. Stay up to date via lunch dates, coffee dates, or even just text and FaceTime! Just stay involved and engaged, because she’s always going to need your big sister advice. Pick her up when she’s down. Sometimes your perfect little is going to feel down. That’s where you come in. Cheer her up and get her back on her feet no matter the cause. Tell her everything will be okay and bring her a tub of ice cream to drown her sorrows in. You’ll be the one she actually listens to when you remind her that tomorrow is a new day with a fresh start! Call her out when she’s not being her best. Sometimes the not so fun, but necessary big sis thing to do is tell your little when she’s wrong. If she’s being disrespectful at meetings, being rude to sisters or going out too much call her out on it. She might be mad in the moment but in the long run she’ll thank you for looking out for her. Be her partner in crime. The best part about being big and little is that you get to be each other’s partners in crime. Best friends, ride or dies, whatever you want to call it, you are the most dynamic duo in the history of dynamic duos. Always have her back and always be her best friend. Her successes are your successes so celebrate with her! When she does well on a test, get’s an amazing internship, or just dumps that loser boy of hers, celebrate!! There is nothing better than having someone to celebrate the good parts of your life with. Give the best boy, school, and life advice. You are her big sister! That means you bare the responsibility of being her designated advice-giver. Whatever the topic, you are there for her; through thick and thin! Be her role model; this is easier said than done. She’s going to look up to you, so be someone that she can be proud of. This doesn’t mean your frat row days are over, but it means that you have a new member who watches everything you do and sees what a sorority experience is like through you. So keep that in mind the next time you are debating whether or not to go to that social with an exam tomorrow or stay in and study. Being a big is one of the greatest parts about joining a sorority! This guide shows you how to be the best big out there for your rockstar little, but if want some more examples of what to do read those here! If you already do all of these things, make sure you treat yourself and your little with these super cute Big & Little Gifts! If you like these GIF style blogs, make sure you check out “The Evolution from Rush Crush to Little“, and “The Evolution of Your Sorority Rush Crush“. This entry was posted in Members Only: A blog for chics and Greeks alike. and tagged Big Sister, Big/Little, Big/Little Spoils, GIFS.